It’s Rugby Union tips time as Palmerbet Sports Team previews Wallabies’ Bledisloe Cup showdown against the All Blacks from Japan. Final Thoughts: The Wallabies and All Blacks warm up for their respective Spring Tour schedules with a one-off Bledisloe Cup Test in Japan. The Cup is already in the Kiwis’ keeping for the 16th straight season after carbon copy wins over the Aussies in the Rugby Championship. The Wallabies competed impressively in the first half of both clashes but went down 38-13 in Sydney and 40-12 in Auckland. 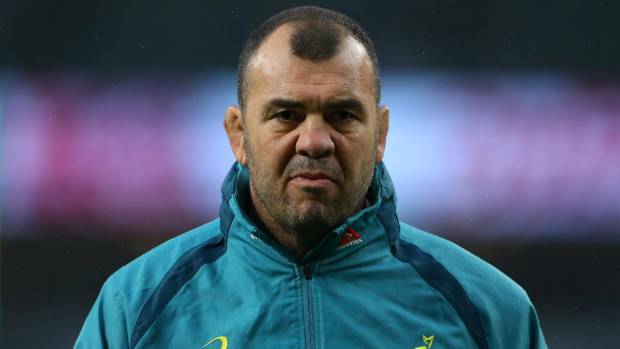 Michael Cheika and the Wallabies have been on a rollercoaster since. They were stunned at home by Argentina and lost away to South Africa. But a tough campaign ended by overturning a 24-point halftime deficit to down the Pumas 45-34 in Salta. It was a result that possibly saved Cheika’s job. The All Blacks cruised to another Rugby Championship success but had two titanic struggles with the Springboks. They were upset in Wellington and snatched a last-gasp win in Pretoria with two late tries. The Wallabies have moved Israel Folau to centre, with Dane Haylett-Petty at fullback and Sefa Naivalu picked on the wing. Damian McKenzie, Ryan Crotty, TJ Perenara, Ardie Savea and Scott Barrett get an opportunity in the ABs’ starting side. Australia have won just two of their last 21 Tests against New Zealand, including only one of the last 10. But the Wallabies have fared better in one-off Tests against the All Blacks in October over the last decade. A memorable after-the-siren win in Hong Kong in 2010, a draw in 2012, a last-minute loss in 2014 and – their most recent trans-Tasman victory – a 23-18 win last year, with the latter three clashes in Brisbane, are among their late-season highlights. The Wallabies, though, are as far behind the All Blacks as they’ve been at any stage in the modern era. Eight of the All Blacks’ last nine wins were by 17 points or more and the world champs should cover the line comfortably.